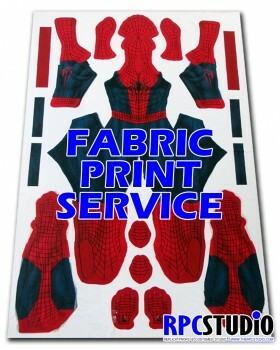 FABRIC PRINT SERVICE from The Replica Props and Costumes Studio. We will resize your pattern to fit your body & print on high quality fabric.Finest Print Detail : Last Long Vibrant Color..
WEBPACK from The Replica Props and Costumes Studio. 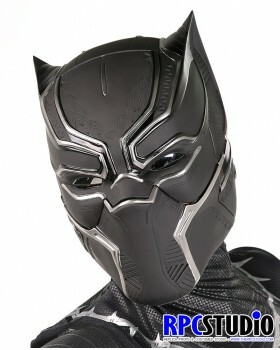 ( Not include costumes, If you need to order costumer as in pic please click http://therpc.studio/index.php?route=product/product&..
Blackcat Helmet from The Replica Props and Costumes Studio.Helmet made from Fiberglass with soft sponge inner. 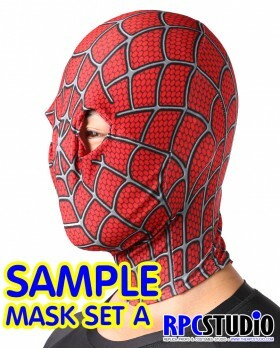 Include with 3 pieces attach together by strong magnetics.Not include costume. .. 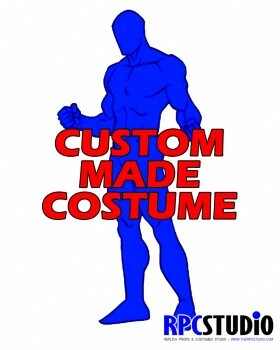 Custom made costume services from The Replica Props and Costumes Studio. 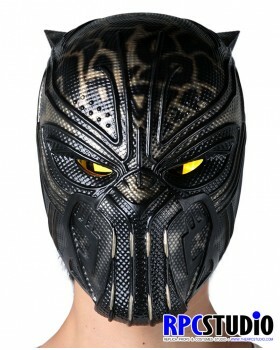 Finest Detail Fabric Printing : Vibrant & Last Long ColorMade to measure : Pattern Resizing Included High Qu..
Jaguar Helmet from The Replica Props and Costumes Studio.One standard size. FOREHEAD CIRCUMFERENCE maximum 23INCHESHelmet made from Fiberglass with soft sponge inner. Include with 2 pieces a.. 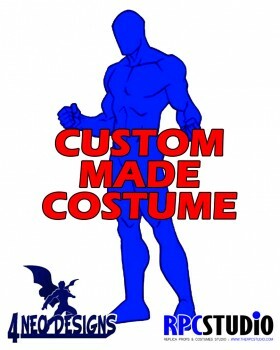 Custom made mask services from The Replica Props and Costumes Studio. Finest Detail Fabric Printing : Vibrant & Last Long ColorMade to measure : Pattern File Cost & Resizing Incl.. 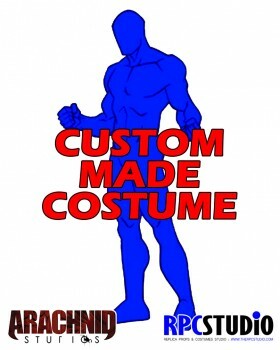 Custom made costume services from The Replica Props and Costumes Studio.- Light and Cool- Hold your sweat with undersuit- Vertical Back Zipper- Round Neck- Hands and Feet Strap .. Please buy pattern from 4 NEO DESIGNS​™ : http://4neodesigns.com or http://sellfy.com/4neodesigns and provide download link of pattern file ( on Google Drive or Dropbox ) that you got from d.. 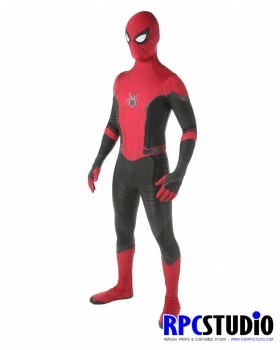 Please buy pattern from ARACHNID STUDIOS™ : https://www.arachnidstudios.ca and provide download link of pattern file ( on Google Drive or Dropbox ) that you got from designer to us via this .. 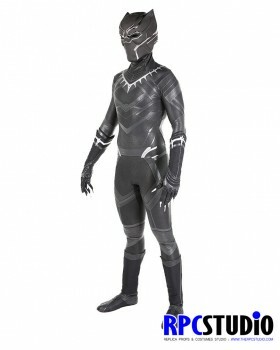 This suit included with- Detach Gloves- Separate Boots RPCPAINT™ : SCREEN PRINT ON COLOR FABRICCustom made costume services from The Replica Props and Costumes Studio.Modeler's Height 5'11 .. Please buy pattern from CRAZY FRANKY™ : https://sellfy.com/CrazyFranky and provide download link of pattern file ( on Google Drive or Dropbox ) that you got from designer to us via this orde..
RPCPAINT™ : SCREEN PRINT ON COLOR FABRICCustom made costume services from The Replica Props and Costumes Studio.Modeler's Height 5'11 181CM / Weight 155lbs 71kgs / Chest37" Waist32" Hip34"We..